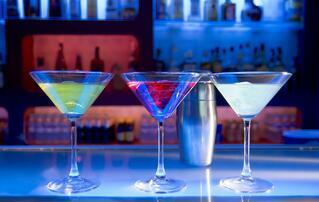 Want to mix your favorite cocktails like a pro? Let’s start at the beginning. Think of it is as having the right tool for the job. Setting up a home bar is one way to help you get started so you have everything you need within your arm’s reach. Take inventory of your liquor cabinet. Consider having these on hand. Glasses. What you pour into is as helpful as what you are pouring. Having some basic multi-use cocktail glasses are a great idea. Consider large block ice cube trays to create one large ice cube perfect for that single cocktail pour. More than water: freeze juices, hot sauce, olive brine, and other mixes or condiments into ice cube form. Add your own touch. Pouring a shot of liquor – learn to free pour. It’s easier to master this with a speed pourer, but don’t worry if you don’t. For the home mixologist, it’s all about keeping a steady hand and learning your count. As you pour your selected spirit into a 1-ounce jigger, you simply count – and always at the same rate. Did you get to two, three? Practice a one-ounce free pour, then do the same for a two-ounce pour. You’ll soon be able to free-pour pretty accurately. Consider the flavor profiles. Try 1.5 ounces of the weakest and a half-ounce of the strongest. For those similar in flavor profiles, like bourbon and dark rum, try one ounce of each. Coating the rim of a glass with salt or sugar. Moisten the outside rim of the glass with a lime (or lemon) wedge. Pour kosher salt on a plate. Dip the outside edge of the glass into the salt. Or, pour sugar on a plate, rub outside of the cocktail glass rim with either a lemon or orange. Dip the edge of the glass into the sugar, add your cocktail, and cheers! Don’t be afraid to garnish. We eat and drink with our eyes, nose, and mouth. Keep lemon and lime wedges, basil, or cilantro available. The added visual, as well as the aroma, will enhance the experience. Experiment, balance out flavors, practice and try new recipes. That’s the secret for any mixologist. Enjoy!